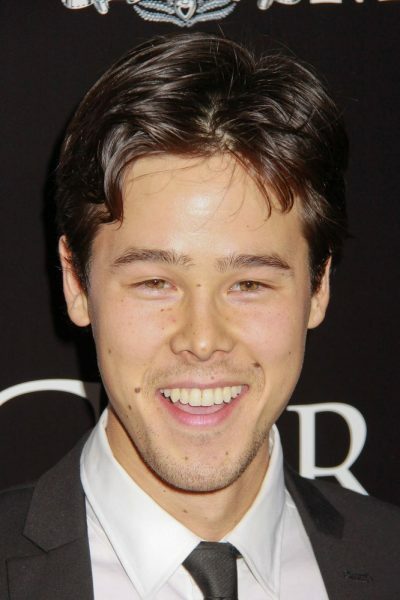 Philip Nozuka is a Canadian-American actor. He is the son of Holly Sedgwick Stern and Hiromitsu Nozuka. His father is Japanese. His mother was raised in Canada, the daughter of American parents, Henry Dwight Sedgwick V and Helen Phillips Burroughs, who were both of New England WASP ancestry. Philip is the brother of George Nozuka, an R&B singer, Justin Nozuka, a musician and actor, and Henry Nozuka, a musician. His uncle is American jazz guitarist Mike Stern, who is his mother’s brother, his aunt is actress Kyra Sedgwick, who is his mother’s half-sister, and his cousin is actress Sosie Bacon, who is Kyra’s daughter. Both of Philip’s maternal grandparents remarried to Jewish spouses. Philip’s grandfather’s re-marriage to Patricia Rosenwald produced Kyra, and Philip’s grandmother re-married to Philip Maurice Stern, an author, philanthropist, and Rockefeller fellow, who adopted Philip’s mother Holly and uncle Mike. Their surname was changed to Stern. Philip Stern was the son of New Orleans civic leader Edgar B. Stern Sr, and the grandson of Julius Rosenwald, the prominent businessperson and philanthropist who was a part-owner and leader of Sears, Roebuck and Company. Philip’s maternal grandfather is Henry Dwight Sedgwick V (the son of Robert Minturn Sedgwick and Helen Peabody). Henry was born in Massachusetts, and is from a prominent family that has lived in New England since the 1600s. He is of English, and distant Dutch, Scottish, and German, descent. Robert was the son of Henry Dwight Sedgwick III and Sarah Mary/May Minturn. Helen was the daughter of The Rev. Endicott Peabody, a minister, who founded the Groton School for Boys, and of Fanny/Frances/Fannie Peabody, who were born with the same surname. Philip’s great-grandmother Helen Peabody’s brother, Philip’s great-great-uncle, was Malcolm E. Peabody, who served as bishop of the Episcopal Diocese of Central New York, from 1942 to 1960. Philip’s first cousin, twice removed, was Endicott Peabody, a Democratic politician, who was Governor of Massachusetts, from 1963 to 1965. Philip’s maternal grandmother was Helen Phillips Burroughs (the daughter of Robert Phillips Burroughs and Dorothy Hall Wellman). Helen was born in New Hampshire. Robert was a prominent lumber executive, and was the son of Sherman Everett Burroughs and Helen Sophie Phillips. Dorothy was the daughter of James Albert Wellman and Florence Vincent.